Michael Brooks is filling in for Sam Seder today on the Majority Report. Donald Trump is giving a speech at a rally in Buffalo, NY, and he invokes the memory of the 9/11 terror attacks, but accidentally calls them “7-Eleven,” which is a chain of convenience stores. He doesn’t stop for a moment, because he doesn’t pay any attention to anything that he says. 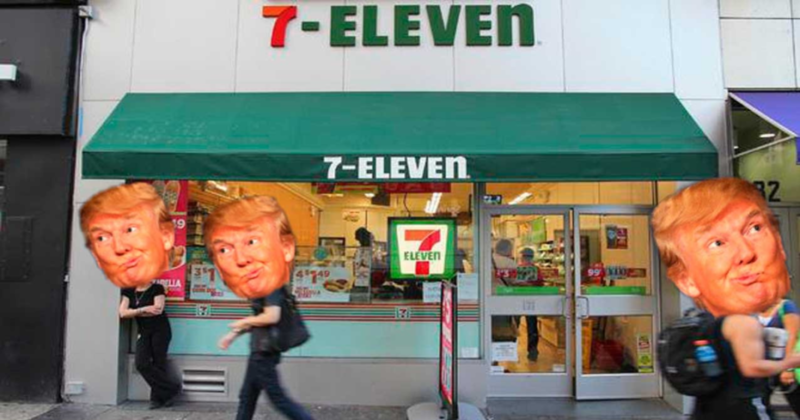 Or maybe he really likes 7-Elevens, there are a lot of them in NYC and he is talking about New York values. It doesn’t really matter what he says, these people don’t care.